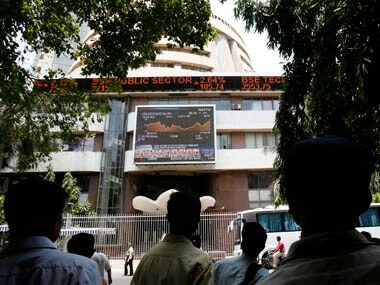 Mumbai: The benchmark BSE Sensex plunged over 325 points and slipped below the 38,000-mark in early trade Monday, in tandem with weak global cues and depreciating rupee. The 30-share index, which had lost 222.14 points on Friday, was trading lower by 325.49 points, or 0.85 percent, at 37,845.24. Reflecting the bearish mood, all the sectoral indices, led by realty, metal and auto, were trading in the negative zone with losses of up to 1.57 percent. 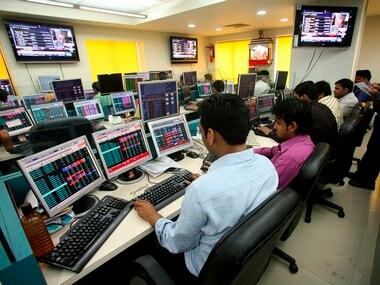 Similarly, the NSE Nifty fell 103.90 points, or 0.78 percent, to 11,353 after hitting a low of 11,342.90. Brokers said, besides profit-booking in recent gainers, rupee's fall below the 69-mark against the dollar and weak cues from global markets weighed on investor sentiments. 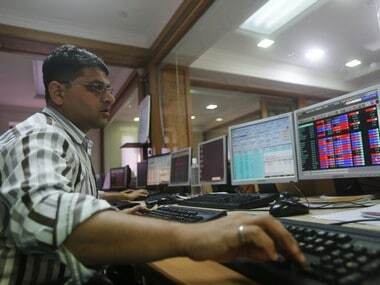 Global cues turned weak tracking Friday's sell-off on the Wall Street after a weak manufacturing data from the US and Europe raised fears of an economic slowdown. Laggards in domestic equities were Vedanta Ltd, Sun Pharma, Tata Steel, Kotak Bank, SBI, Tata Motors, RIL, ICICI Bank, Yes Bank, HDFC Ltd, Axis Bank, M&M, L&T, IndusInd Bank, ITC Ltd, HCL Tech, Bajaj Auto, HDFC Bank and Infosys, falling by up to 2.16 percent. 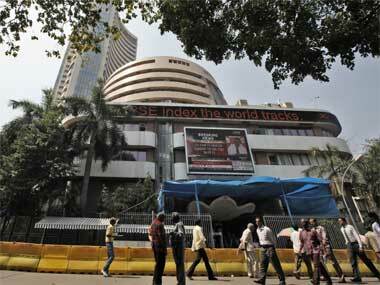 Bucking the trend, shares Coal India, Maruti Suzuki and Hero MotoCorp rose up to 0.84 percent. Meanwhile, domestic institutional investors (DIIs) sold shares worth Rs 657.37 crore, while foreign funds bought shares to the tune of Rs 1,374.57 core in Friday's trade, provisional data showed. Globally, Hong Kong's Hang Seng plunged 2 per cent, while Japan's Nikkei dropped 3.14 percent, Shanghai Composite Index fell 1.37 percent in early trade. Singapore's Straits Times dropped 1.39 percent. Taiwan Index shed 1.48 percent. The US Dow Jones Industrial Average had ended 1.77 percent lower on Friday.